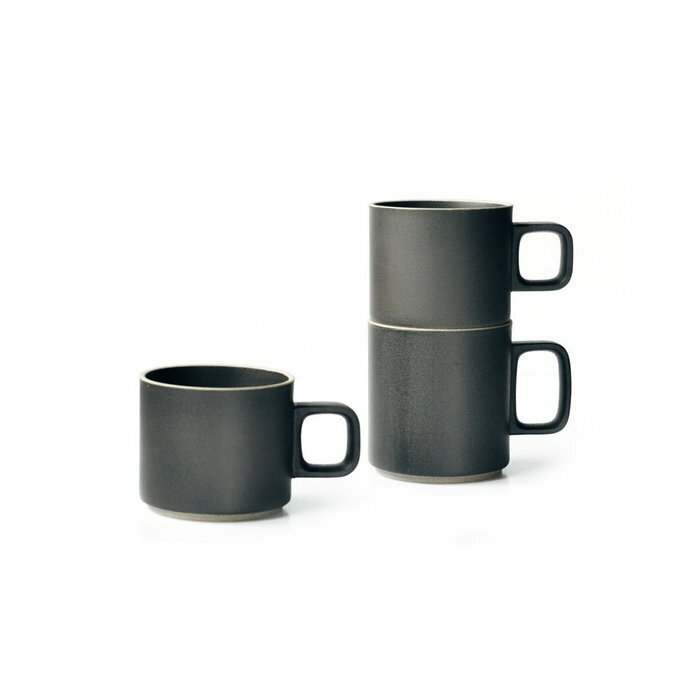 These stack-able ceramic mugs are made from a unique mixture of porcelain and clay. They are glazed in a matte black finish, and have a slightly rough texture. Made in Hasami – a ceramic district in Nagasaki, Japan that’s been producing ceramics for over 400 years. The Hasami line is one of our favorites – it’s completely modular where each piece is stack-able with others of the same diameter.